Data has been remarkably consistent the last few weeks, including last week: “OK” but not great economic growth, and consistent signs that inflation is losing momentum. As such, the economic data continues to point to a “Stagnation” set up for stocks and other assets. Given that inflation trends are more important than growth trends right now, I’ll start with the Quarterly Employment Cost Index, which, like many other inflation indicators in Q2, slightly missed estimates. The Q2 ECI rose 0.5% vs. (E) 0.6, maintaining a 2.4% yoy increase from Q1, but slightly disappointing vs. expectations. Additionally on Friday, the PCE Price Indices from the Q2 GDP report showed deceleration in the pace of inflation. The PCE Price Index rose just 1% in Q2 vs. (E) 1.2%. Now, none of these inflation statistics are particularly bad. Yet from a policy standpoint, these numbers won’t make the Fed eager to tighten policy ahead of the current schedule (balance sheet reduction in September, rate hike, probably, in December). Turning to actual growth data, it was “ok” but not great. Q2 GDP met expectations with a 2.6% yoy gain, and that was a true number as Final Sales of Domestic Product (which is GDP less inventories) was also 2.6%. Consumer Spending, or PCE as it’s known in the GDP report, rose 2.8%, again a solid but unspectacular number. Similarly, June Durable Goods, while a decent report, wasn’t that strong. The headline was a big beat at 6.5% vs. (E) 3.5%, but that was because of one-time airline orders. New Orders for Non-Defense Capital Goods ex-aircraft, the best proxy for corporate spending and investment, was revised higher in May but dipped 0.1% in June. Point being, like most growth data recently, it wasn’t a bad report, but it’s not the kind of strength that will spur a reflationary rally. Finally, the one economic data point that was strong last week was the July flash manufacturing PMI. It rose to 54.2 vs. (E) 53.2, but while that is a potential positive (it’s a July report so it’s the most current) the PMIs are surveys, and the gap between soft survey data and “hard” economic numbers remains wide. Turning to the Fed meeting last week, the two takeaways were: 1) The Fed confirmed that they will reduce the balance sheet in September, barring any big economic or inflation surprises. 2) The Fed did slightly downgrade the inflation outlook, but importantly it kept open the option to hike rates at any meeting, and as such a December rate hike is still likely). As stated, inflation is more important than growth data right now, so that means two most important numbers this week will be tomorrow’s Core PCE Price Index (contained in the Personal Income and Outlays report) and Friday’s wage data in the jobs report. Stocks have rallied since Yellen turned incrementally dovish at her Humphrey-Hawkins testimony, and soft inflation data will further that sentiment and underpin stocks. Conversely, if we see inflation bounce back, that will push bond yields higher and help reflation assets (banks, small caps, inverse bond funds, cyclicals). But, inflation stats aren’t the only important numbers this week as we get the latest final manufacturing and composite US and global PMIs. They remain important because they will provide anecdotal insight into the pace of the US and global economy. But again, it would be a pretty big surprise if the data suddenly showed slowing in the global economy. On the flip side, at least for the US, a strong report would be welcome, because strong economic data won’t cause the Fed to get more “hawkish” unless inflation ticks higher. Time is money. Spend more time making money and less time researching markets every day. 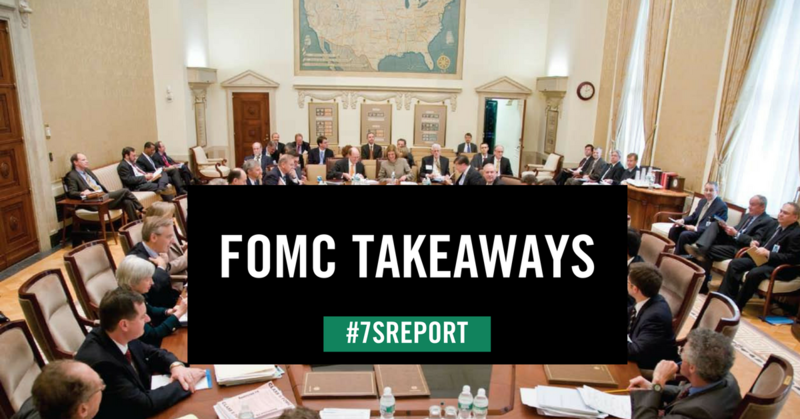 FOMC Preview: Get the simple talking points you need to strengthen your client relationships with a free trial of The Sevens Report. • As expected, the Fed left rates unchanged and did not alter its balance sheet. The Fed decision met our “What’s Expected” scenario, as the Fed said balance sheet reduction “relatively soon,” which is Fed speak for September. To boot, as was also generally expected, the Fed slightly downgraded the outlook for inflation, saying that inflation was running “below 2%,” as opposed to the previous “running somewhat” below 2%. It’s a minor change that largely reflects the Fed’s recent cautious language on inflation. However, the Fed said that risks to the recovery remained “roughly balanced,” which is Fed speak for “We still can hike rates at any meeting.” That last point is important, because risks remaining “roughly balanced” leaves a rate hike in December on the table (Fed fund futures odds have it at 50/50). Currency and bond markets reacted “dovishly” to the decision, but again that’s due more to a Pavlovian dovish response to any Fed decision rather than an accurate reflection of the Fed yesterday. In reality, the Fed wasn’t materially dovish. Tomorrow’s FOMC meeting is important to markets for multiple reasons, because it will give us additional color on when the Fed will begin to reduce its balance sheet, and whether a December rate hike is still on the table. Those revelations will be the latest catalyst for the ongoing battle between “reflation” (which means cyclical sectors like banks, industrials and small caps outperform) or “stagnation” (super-cap tech and defensive sector out-performance). Given the latter sectors have been the key to outperforming the markets in 2017, understanding what the Fed means for these sectors is critically important. Remember, it was the Fed’s “hawkish” June statement that saw Treasury yields rise and banks and small caps outperform from June through mid-July. And, it was Yellen’s “dovish” Humphrey-Hawkins testimony that reversed the rise in yields and resulted in the two-week outperformance of super-cap tech (FDN) and defensive sectors such as utilities. So again, while not dominating the headlines, the Fed is still an important influence over the markets, just on more of a micro-economic level. What’s Expected: No Change to Interest Rates or Balance Sheet Policy. The Fed is not expected to make any change to rates (so no hike) or begin the reduction of the balance sheet. However, and this is important, the Fed is expected to clearly signal that balance sheet reduction will begin in September by altering the fifth paragraph to state that balance sheet normalization will begin “soon” or “at the next meeting.” Likely Market Reaction: Withheld for Sevens Report subscribers. Unlock by starting your free trial today. Hawkish If: The Fed Reduces the Balance Sheet. This would be a legitimate hawkish shock, as everyone expects the Fed to start balance sheet reduction in September. Likely Market Reaction: Withheld for Sevens Report subscribers. Unlock by starting your free trial today. Dovish If: No Hint At Balance Sheet Reduction. If the Fed leaves the language in paragraph five unchanged (and says balance sheet reduction will happen “this year”) markets will react dovishly, as balance sheet reduction likely won’t start until after September, and that means no more rate hikes in 2017. Likely Market Reaction: Withheld for Sevens Report subscribers. Unlock by starting your free trial today. Wild Card to Watch: Inflation Language. So far, the Fed has been pretty dismissive regarding the undershoot of inflation, but that may change in tomorrow’s statement. If the Fed reduces its outlook on inflation (implying low inflation isn’t just temporary) or, more significantly, implies the risks are no longer “roughly balanced” (which is Fed speak for we can hike at any meeting), then a December rate hike will be off the table, and that will result in a likely significantly dovish move. If made, that change will come at the end of the second paragraph. To the casual observer, this Fed meeting might look like a non-event, but there are a lot of potential changes that could have significant implications on sector performance over the next few months. So, again, getting this Fed meeting “right” will be important from an asset allocation standpoint. Time is money. Spend more time making money and less time researching markets every day—start your free trial of the Sevens Report now. The economic calendar picks up this week beginning with the flash PMI today (9:45 a.m. ET), as we continue to get an initial look at the July data. So far, the data has been a bit underwhelming as both the Empire and Philly Fed surveys came in light last week. As far as hard data goes, Durable Goods comes out Thursday, and the preliminary second-quarter GDP number comes out Friday. Housing data also picks up this week, and after last week’s mixed results (remember the Housing Market Index missed but Housing Starts was solid) economists will be looking for a better read on the current status of the real estate market. The two big reports this week are Existing Home Sales on Monday, and New Home Sales on Wednesday. However, the S&P CoreLogic Case-Shiller HPI also will be worth watching (due out Tuesday). If the housing data is more in line with the strong Housing Starts data we saw last week, that will be an underlying positive for the economy and supportive for risk assets near term. Turning to the central banks, the FOMC meets Tuesday and Wednesday, and the meeting will be concluded with an announcement on Wednesday at 2:00 p.m. There are no material changes expected to come from the meeting, and it would be a shock if rates were not left unchanged. There is no press conference or forecasts released with this meeting, but language in the statement will be closely watched for any further clues on the Fed’s plans to reduce the balance sheet, or on when rates will be raised. Right now, expectations are for a December hike, but based on the trend in other central bank rhetoric the risk is for a dovish development due to the complete lack of inflation acceleration. Economic data was thin last week, but we did get our first look at July data in the form of regional Fed outlook surveys as well as a few reports on the housing markets. Beginning with the Fed surveys, the Empire State Manufacturing Survey was released on Monday, and despite the bad headline it was not a terrible report. The headline missed estimates (9.8 vs. E: 15.0), but the forward looking New Orders component remained solidly above 13. The reason the report was not that bad was the fact that it had started to run hot at unsustainable level recently, and was due for a dip. And the correction we saw in the June data wasn’t too deep, and the details remained encouraging. The Philly Fed Survey out on Thursday was not as bad a miss as the Empire data on the headline (19.5 vs. E: 22.0), but the details definitely dimmed the outlook for the Mid-Atlantic manufacturing sector. The forward-looking component of the report, New Orders, fell more than 20 points to just 2.1. The survey Philly data last week finally started to show a decline in enthusiasm from the extremely strong survey reports we’ve seen since the election. If these reports are foreshadowing a pullback in the broader US economy, that would be very bad for stocks, as solid growth is still priced into the market at current levels. Housing data was mixed last week as the Housing Market Index missed expectations, but Housing Starts and Permits were very solid. Data on the real estate market has been all over the place recently, and it will take more data to try to decipher where the trends actually are in the sector. But if the strong Starts and Permits data from last week are any indication (this is a more material data point than the Housing Market Index) that will be a sign of confidence in the US economy. Lastly, jobless claims were very solid last week as new claims fell back towards a four-decade low. The very positive weekly report was significant, because the data collected corresponds with the survey week for the July BLS Employment report. So, based on jobless claims alone we can expect another very strong official employment report early next month. Goldilocks Jobs Report Preview: What Will Make the Report too Hot, too Cold, or Just Right? Given the Fed’s newfound confidence in inflation and economic growth, the bigger risk for stocks will be if tomorrow’s number comes in “Too Cold,” and further implies the economy is losing momentum into a hiking cycle. However, while a “Too Cold” scenario would likely be the worst outcome for stocks, “Too Hot” wouldn’t be ideal, either, as it would cause a resumption of the reflation trade we saw in June. So, there are two-sided risks into tomorrow’s jobs report, and if it’s outside of the “Just Right” scenario, we will either see some important sector rotation, or a broader market movement. • >250k Job Adds, < 4.1% Unemployment, > 2.9% YOY wage increase. A number this hot will open the discussion for another rate hike, likely in September or November. Likely Market Reaction: We should see a powerful reengagement of the “reflation trade” from June… (withheld for subscribers only—unlock specifics and ETFs by signing up for a free two-week trial). • 125k–250k Job Adds, > 4.1% Unemployment Rate, 2.5%-2.8% YOY wage increase. This is the best-case scenario for stocks, as it would reinforce the current expectation of balance sheet reduction in September, and one more 25-bps rate hike in December. Likely Market Reaction: This is the most positive outcome for stocks… (withheld for subscribers only—unlock specifics and ETFs by signing up for a free two-week trial). • < 125k Job Adds. The key to a sustained, longer term breakout in stocks is stronger economic growth that leads to higher interest rates, and a soft number here would further undermine that outcome, and imply the Fed is hiking rates into an economy that is losing momentum. Likely Market Reaction: (Withheld for subscribers only—unlock specifics and ETFs by signing up for a free two-week trial). Again, given the Fed and other central banks newfound hawkishness, this is the worst outcome for stocks over the coming weeks and months. This jobs report isn’t important because it will materially alter the Fed’s near-term outlook. Instead, it’s important because if it prints “Too Cold” it could send bonds and bank stocks through their 2017 lows. And while I respect the fact that stocks have been able to withstand that underperformance so far in 2017, I don’t think the broad market can withstand new lows in yields and banks. Cut through the noise and understand what’s truly driving markets, as this new political and economic reality evolves. The Sevens Report is the daily market cheat sheet our subscribers use to keep up on markets, seize opportunities, avoid risks and get more assets. Sign up for your free two-week trial today and see the difference 7 minutes can make. Get the simple talking points you need to strengthen your client relationships—start your free trial of The Sevens Report now. What are the market implications the optimistic statements from Fed Vice Chair (and President of the Federal Reserve Bank of New York) William Dudley’s optimistic statements this week? Fed Vice Chair Dudley reiterated and bolstered Fed Chair Yellen’s “steady as she goes” message on rate increases last week, again dismissing low inflation as not a big enough problem to stop the Fed from continuing to hike. Additionally, Dudley was optimistic about economic growth, saying he was “confident” the current economic expansion had plenty left in the tank. Bottom line, Dudley reiterated that the Fed is committed to raising interest rates and removing accommodation, and that caused a mildly “hawkish” reaction across currencies and bonds. It also helped push stocks higher (although stocks were already in rally mode). So, our general Fed outlook remains the same: Balance sheet reduction starting in September, and a rate hike in December. However, in order for the hawkish tone from the Fed to get the Dollar Index and yields moving higher, we’ll have to see actual improvement in the economic data, and that remains elusive. As such, the market remains skeptical about future rate hikes, despite the Fed’s warnings (Fed fund futures are pricing in just a 20% chance of a September hike, and 40% chance of a December hike). So, the Fed has some work left to do on reestablishing its hawkish credibility after years of ultra-dovishness. The Sevens Report is the daily market cheat sheet our subscribers use to keep up on markets, seize opportunities, avoid risks and get more assets. Start your free two-week trial today. The Fed meeting is more important than any other this year, for the simple reason that it could either exacerbate the glaring discrepancy between stocks and bond yields (which would be negative for risk assets medium term), or it could help close the gap (which would be positive for risk assets). Specifically, the bond market has quietly been pricing in the expectation of a “dovish hike” for this meeting via the decline in yields. That “Dovish Hike” means the Fed does hike rates 25 basis points, but makes the statement dovish enough that it doesn’t cause longer-dated yields (i.e. 10- and 30-year Treasuries) to rise. If the Fed executes on that expectation, then we will see the 10-year yield dip and likely test the 2017 lows of 2.14%, and again that is a problem for stocks over the medium/ longer term. Looking at the actual meeting itself, whether it meets expectations, is dovish, or is hawkish, will depend not only on the rate hike, but also the inflation commentary and any guidance regarding “normalization” of the balance sheet. What’s Expected: A Dovish Hike. Probability (this is just my best guess) About 70%. Rates: It would be a pretty big shock if the Fed didn’t hike rates tomorrow, so a 25-basis-point hike to 1.25% is universally expected. Statement: In paragraph one, the Fed should include some additional soft language regarding inflation, noting that it’s been soft for a few months. However (and this is important), the Fed should still attribute sluggish inflation to “transitory factors,” implying Fed members are still confident they will hit their 2% inflation goal. Dots: No change to the 2017 dots (so, still showing three hikes as the median expectation). Likely Market Reaction: Withheld for Sevens Report subscribers. Unlock by starting your free trial today. Dovish If: No Hike or a Very Dovish Hike. Probability (again, my best guess) About 10%. Rates: It’s widely expected that Fed will hike rates, but there’s always a possibility of a surprise. More likely, the Fed will hike 25 bps and accompany it with a very dovish statement. Statement: The Fed changes the characterization of risks from “balanced” to “tilted to the downside,” or some similar commentary, thereby signaling rate hikes are off the table again. This is a very unlikely, but possible change. More likely is the Fed adding considerable language regarding concerns about lower inflation. Dots: A reduction of the dots to reflect just two rate hikes in 2017. Likely Market Reaction: Withheld for Sevens Report subscribers. Unlock by starting your free trial today. Hawkish If: We get a regular hike, not a “Dovish” Hike. Probability About 20%. Rates: The Fed Hikes Rates 25 basis points. Statement: The Fed does not add softer language regarding growth or inflation in the first paragraph, and instead just largely reprints the May statement, which was dismissive of the recent dip in inflation and growth. Dots: The dots remain the same or even increase one rate hike in 2017 (this is unlikely, but possible). Likely Market Reaction: Withheld for Sevens Report subscribers. Unlock by starting your free trial today. The market fully expects the Fed to elaborate on when and how it intends to reduce its balance sheet (i.e. the holdings of Treasuries it has purchased over the years through the QE program). I covered why the balance sheet is important back in April (a link to that report is here) but the bottom line is that when and how the Fed begins to reduce its balance sheet (the term “normalize” is just Fed speak for “reduce Treasury holdings”) could be a substantially hawkish influence on the bond market, regardless of rate hikes. Specifically for tomorrow, the key detail the market will be looking for is at what level of interest rates does the Fed begin to reduce its Treasury holdings. The number to watch here is 1.5%. It’s widely expected that at 1.5% Fed funds, the Fed will begin to reduce its balance sheet. If we get one more rate hike this year, then that puts balance sheet reduction starting in early 2018 (likely March). For a simple reference, if the Fed statement or Yellen at her press conference reveals the Fed will reduce holdings before 1.5%, that will be hawkish. If it’s revealed that the Fed will reduce holdings after rates hike 1.5% that will be dovish. This Fed meeting is likely the most important of the year (so far), not just because we will get updated guidance on expected rate hikes and the balance sheet, but also because it comes at a time when we are at a tipping point for bond yields (if they go much lower and the yield curve flattens, more people will start talking recession risk). We also are potentially seeing a shift in stock sector leadership (from defensives/income to cyclicals/ banks), so understanding what the Fed decision means for rates will be critically important going forward. You’ll have our full analysis, along with practical takeaways, first thing Thursday morning. The Sevens Report is the daily markets cheat sheet our subscribers use to keep up on markets, leading indicators, seize opportunities, avoid risks and get more assets. Get a free two-week trial with no obligation, just tell us where to send it. There were only a few economic releases last week and the Fed circuit was silent ahead of this week’s Fed events. The headline of the ISM Non-Manufacturing PMI was largely in line with expectations at 56.9 for May, and the details matched as well. The one outlier was a sharp dip in the prices category, which fell to 49.2 from 57.6. It was the first sub-50 reading in 13 months. And while the one number by itself is not very alarming, pairing it with other soft price data of late, including the weak unit labor cost on Monday, inflation data is beginning to gain some attention. For now, it is just something to monitor and will not have a material effect on Fed policy yet. Looking overseas, the EBC decision was the big event last week. As expected, rates were left unchanged and there were no changes in the QE program. The ECB changed their risk assessment to “balanced” and also removed the potential for lower interest rates going forward. Overall, the meeting was anti-climactic as a step was taken towards eventually ending QE, but no update on the timeframe was offered. 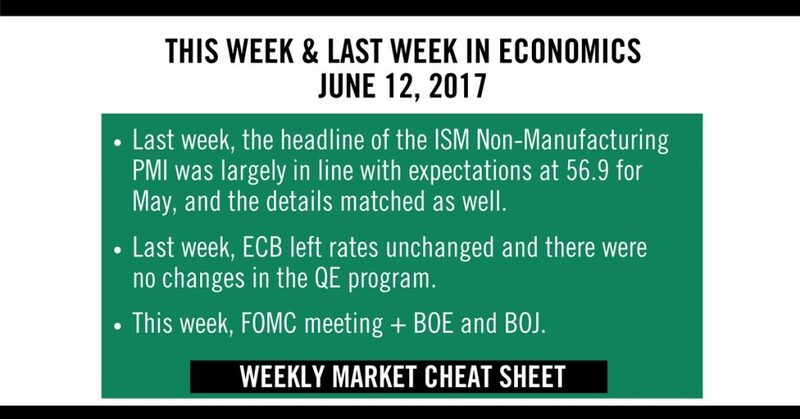 Focus will be on central banks this week as the Fed takes center stage Wednesday, the BOE is Thursday and the BOJ is Friday. The Fed will obviously attract the most attention as a rate hike is expected, but the outlook for future policy has grown cloudier. 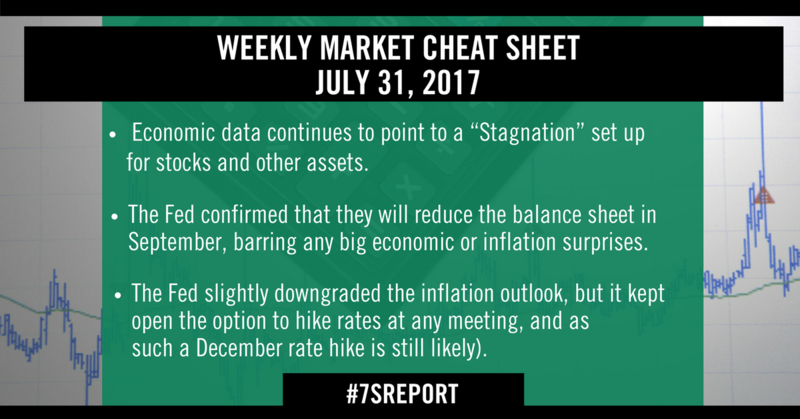 The market will be looking for any clues as to the number of rate hikes remaining in 2017, or whether the committee’s sentiment towards the economy has changed in recent months. 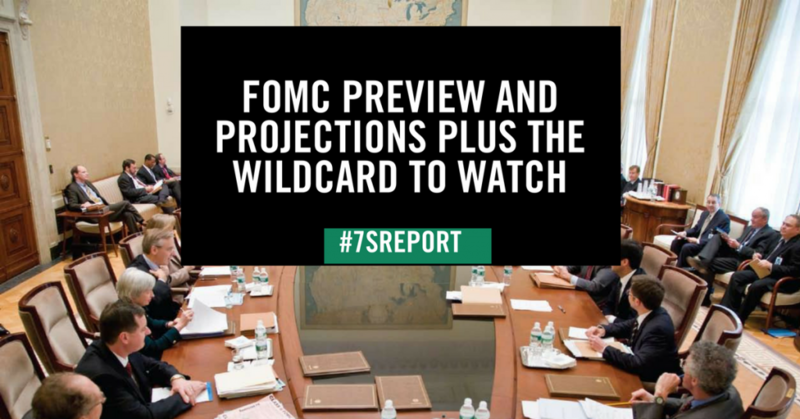 We will have our full FOMC Preview in tomorrow’s Report. As far as economic data goes, CPI and Retail Sales will both be released pre-market ahead of the FOMC on Wednesday (which we will provide a preview for, as always). Later in the week we get the first look at June data from the Philly Fed Business Outlook Survey and the Empire State Manufacturing Survey as well as Industrial Production data for May. The latter will be important to see if the recent bounce in manufacturing data has continued at all in Q2 or not. Lastly on Friday, Housing Starts data for May will provide the latest update on the housing market. Overseas, there are some important releases to watch beginning on Tuesday night with Chinese Fixed Asset Investment, Industrial Production, and Retail Sales all due at 10:00 p.m. ET. There are several second-tiered reports that may move market modestly if there are any surprises, but the only other report overseas really worth watching is the Eurozone HICP (their CPI) to see if inflation is firming at all or actually rolling over as some individual European country reports have shown (German CPI was -0.2 vs. E: -0.1% in May). Get the simple talking points you need to strengthen your client relationships with the Sevens Report. Everything you need to know about the markets delivered to your inbox by 7am each morning, in 7 minutes or less. Economic data continued to underwhelm last week, and while for now, the lack of strong data isn’t preventing stocks from making incremental new highs. Beyond the short term, if we are going to see a material move higher from here, economic data needs to get better, period. 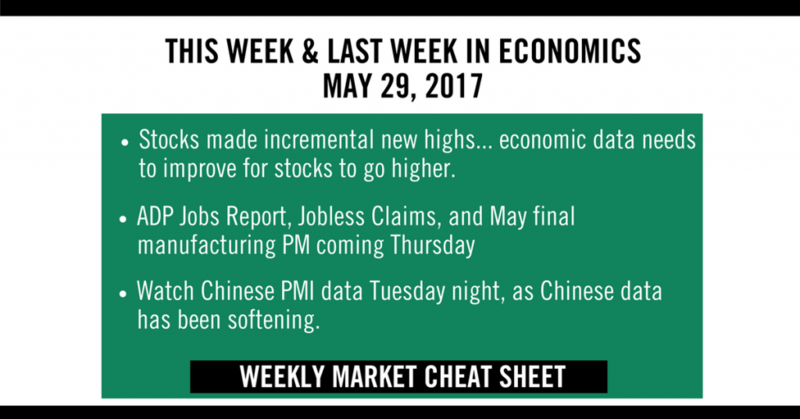 The two most important reports last week were the May Flash Manufacturing PMI and the April Durable Goods report, and both underwhelmed. The May flash manufacturing PMI dropped to 52.5, the lowest reading since of 2017, while Durable Goods was, as usual, a bit of a misleading number. The headline on Durable Goods was better than expected at -0.7% vs. (E) -1.0%. We dismiss the headline because it’s massively influenced by the timing of airplane orders. Instead, we focus on New Orders for Non-Defense Capital Goods, Ex- Aircraft. That is the purest look at business spending and investment in the Durable Goods report, and there the results were a disappointment. NDCGXA was flat vs. (E) 0.2% increase while the March data was revised lower (from 0.2% to 0.0%). Bigger picture, these soft business spending/investment numbers raise the question as to whether all this policy uncertainty regarding corporate taxes (will rates be cut, and what changes will occur with the deductibility of interest, etc.?) is starting to restrain business investment. To be clear, there’s no data that says it is being restrained, yet. However, it is a legitimate concern the longer we go with no clarity on taxes. The other notable report from last week was the revision of Q1 GDP, and on the whole it was positive. Headline Q1 GDP was increased to 1.2% from 0.7%, and consumer spending (PCE) rose to 0.6% vs. (E) 0.3%. To be clear, that’s still pretty anemic consumer spending… but at least the numbers got a touch better. Finally, turning to the Fed, the market traded slightly dovish last week after the release of the May FOMC minutes. In particular, worries about whether we’re losing upward momentum on inflation, combined with similar comments from Philly Fed President Harker a week ago, resulted in a slightly dovish move in currencies and bonds. But to be clear, the expectation for a June hike remains very high, and it’ll likely take a very soft core PCE Price Index (out today), and a bad wage number in Friday’s jobs report to put that June hike in doubt. With the amount of economic data coming this week, it would be a busy week even if we had five days to absorb it all. So, it will be an especially busy week given we’ve got just four trading days this week. First, it’s jobs week, so we get the ADP Jobs Report on Thursday (a day later due to Memorial Day), Jobless Claims on Thursday, and the government jobs report on Friday. 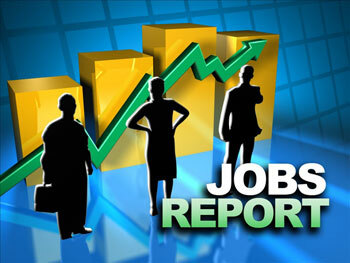 We will send our standard “Jobs Report Preview” in Thursday’s report. As has been the case for virtually all of 2017, the wage numbers are almost as important as the actual jobs number itself, as signs of further deterioration could lead to a dovish Fed while a strong number could put upward pressure on the expected number of hikes in 2017 (from three to four). 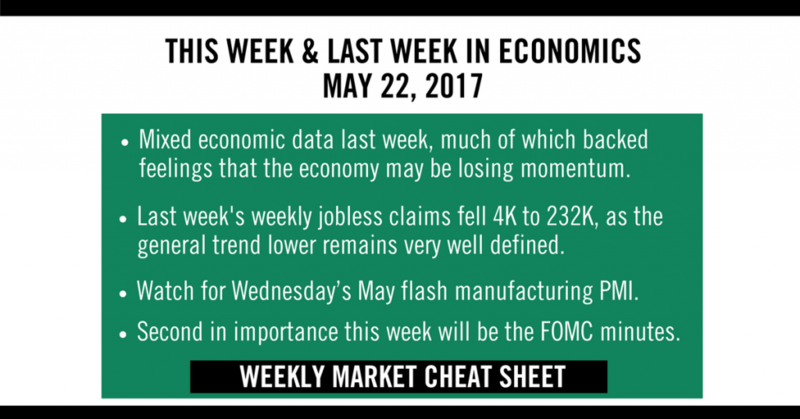 Right behind the jobs report in importance this week is the May final manufacturing PMI, out Thursday. Obviously, with the disappointing flash PMI, a slightly better number this week will help inject a bit more confidence into the state of economic momentum here in the US. And while the US number is important, the most important manufacturing PMI this week may be China, which comes tonight. Very quietly, Chinese data has been softening, and if we get a surprisingly bad number that could send a macro shock through markets. Turning to inflation, our focus there will be a bit more acute this week given the FOMC minutes and Harker’s comments from last week. That means that today’s Core PCE Price Index, which is contained in the Personal Income and Outlays report, will be important. If it shows evidence of moving down further from the Fed’s 2.0% yoy target, that will create a dovish response from markets and sink Treasury yields further (which will be a negative for stocks). Bottom line, the jury is still very much “out” on the current momentum in the US economy. In an absolute sense, data remains “ok,” but we are not seeing the acceleration everyone thought we would when the reflation trade was roaring back in Dec/Jan. If data continues to underwhelm, it will become a headwind on stocks beyond the short term… and again, that’s a point that is very important not to miss. We need better data to make this rally sustainable above 2400. There weren’t many economic reports last week, and the data we did get was mixed. In sum the data did nothing to remove the growing feeling that the US economy is losing momentum. First, the initial look at May data in the form of the Empire State Manufacturing Index badly missed at -1.0 vs. (E) 8.0, but the Philly Fed Business Outlook Survey on Thursday contrarily blew away expectations (38.8 vs. E: 19.6). The net effect is that it put more focus on this week’s flash manufacturing PMI to give us a true look at the pace of manufacturing activity in May. In the US housing market, the Housing Market Index beat expectations on Monday (70 vs. E: 68), but Housing Starts data on Tuesday whiffed (1.172M vs. E: 1.256M). The most encouraging report last week was Industrial Production, which beat estimates of 0.4% with a headline print of 1.0%. But, a lot of that “beat” came from auto manufacturing, and activity in that sector has almost certainly peaked (remember Ford is cutting employees amidst more challenging sales environments). Point being, the Industrial Production beat is likely a one off, not the start of a trend. Rounding things out with the labor market, weekly jobless claims fell 4K to 232K, as the general trend lower remains very well defined. Continuing claims fell to a 29-year low while its four-week moving average fell to a 43-year low. This encouraging report was especially notable because the data was collected from the week corresponding with the survey week for the May jobs report, and the strong print suggests that May could be another very strong month for the labor market. Bottom line, economic data last week did not materially change our outlook for the markets. This will actually be a relatively busy week of economic data, as we get the flash manufacturing PMIs, Fed minutes from the May meeting, and other important economic reports. The most important report this week will be Wednesday’s May flash manufacturing PMI. This will be the first major data point for May and it needs to show stabilization and, better yet, acceleration for stocks to rally. Second in importance this week will be the FOMC minutes. Markets have priced in a slightly more dovish Fed given the soft inflation data recently, but markets have overestimated the Fed’s dovishness throughout 2017. If the minutes are hawkish, that could push yields and the dollar higher (which would be stock positive). Meanwhile, there are two reports on housing data, New Home Sales and Existing Home Sales due out on Tuesday and Wednesday, respectively. Investors would welcome a rebound after last week’s soft Housing Starts report. Finally, both the second look at Q1 GDP and Durable Goods Orders will be released Friday morning. The latter will be closely watched as the gap between soft and hard data remains a concern, and a strong revision to GDP and a good Durable Goods number will help close that gap. Bottom line, economic data remains the key to reigniting the reflation trade (remember, it’s #1 in my list of four events needed to restart the rally). So, the market needs good data and a confident/hawkish Fed for stocks to again test recent highs.